According to the St. Louis Business Journal, a Fairfield Inn & Suites just west of Union Station at the former Harry’s Restaurant & Bar site is moving forward. 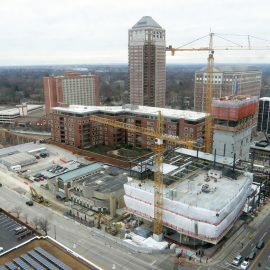 Equis Hotels founder and CEO told the Business Journal plans call for a $20M five-story, 137-room custom designed hotel with a 110-space parking garage. The city’s property database lists the site at just less than one acre, measuring roughly 80 x 650ft. 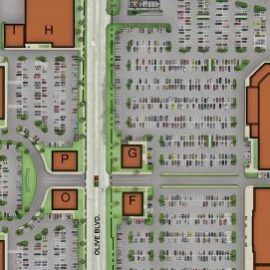 No hotel site plan has been made available, and it’s probable the project can be squeezed onto the site. 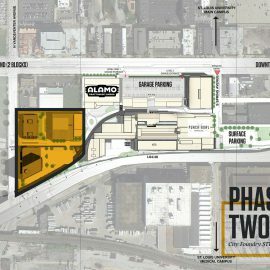 The project appears to not need adjacent MoDOT land targeted for a possible Major League Soccer stadium. However, a few things are unclear. 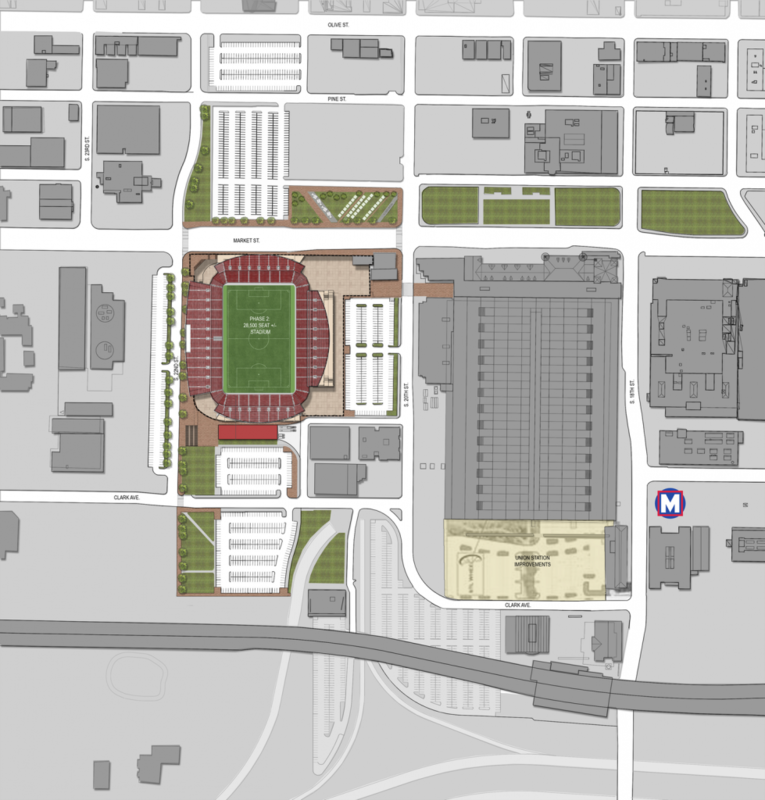 When SC STL released images of its proposed stadium, the Harry’s site was included in the project footprint (below). 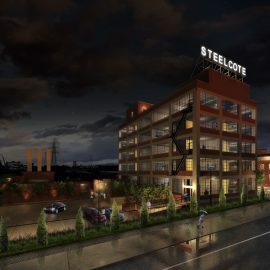 Sources tell nextSTL there had not been any conversations between the prospective ownership group and the site owner prior to the site plan being released. Harry’s inclusion in the stadium footprint is rumored to have led the owner to approach Foundry STL, once a competing ownership group for an MLS franchise. Such detail, or lack of attention to detail, may mean nothing. The stadium design and site plan are preliminary, sure to be adjusted if and when needed. 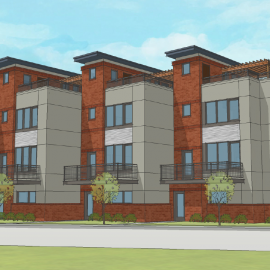 And the Equis hotel project is reportedly moving forward with or without the soccer stadium. On the other hand, keeping the hotel project alive, if it does impact the stadium site, seems the perfect way to gain leverage in a future deal. SC STL formally applied for an MLS expansion franchise January 31, making St. Louis one of 12 cities hoping for a team. With a new Jefferson Avenue/I-64 interchange to serve the new $2B NGA headquarters on North Jefferson coming, The MoDOT land will be targeted for redevelopment with or without a stadium. The city continues to hold an option to acquire the land, and SC STL holds an option to acquire it from the city.